I love sales, consignment stores, thrift stores, and all of those loyalty cards when you get a freebie once in a while. I always feel like I scored when I get the $10 off coupon at Safeway. Do you like bargains as much as I do? If you do, you are in luck. I bundled my plant packets today. You can save $3.90! That’s almost enough for a trip to Starbucks! 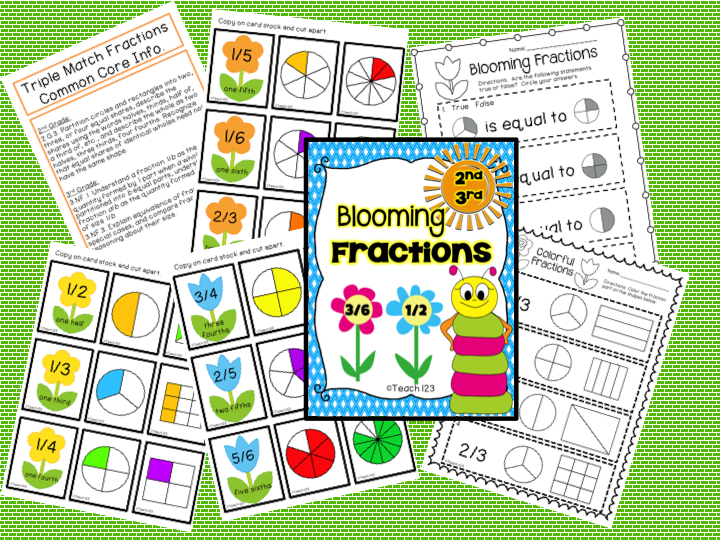 Integrate math and science with this Blooming Fractions center. It comes with 27 fraction cards, answer key, and two extension assignments. With this center, students practice putting plant themed words in alphabetical order and grouping them according to the number of syllables. 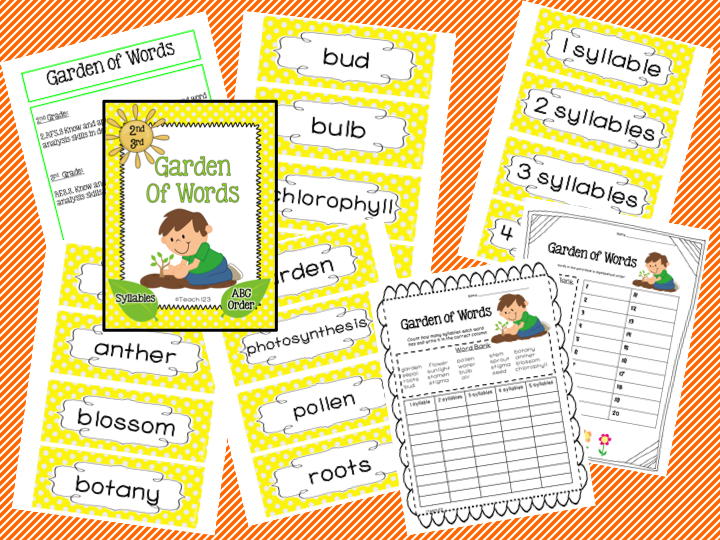 Included are two recording sheets, and 20 plant themed word cards. 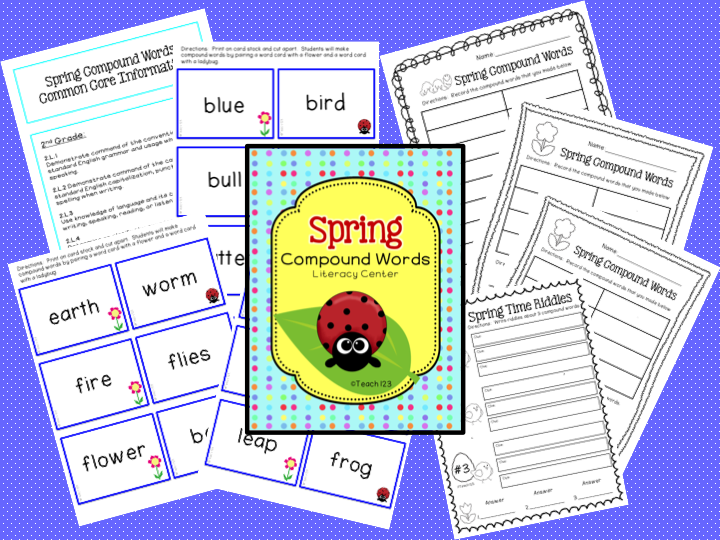 Students will practice making compound words with the 40 word cards included with this center. There are four recording sheets included that are differentiated. 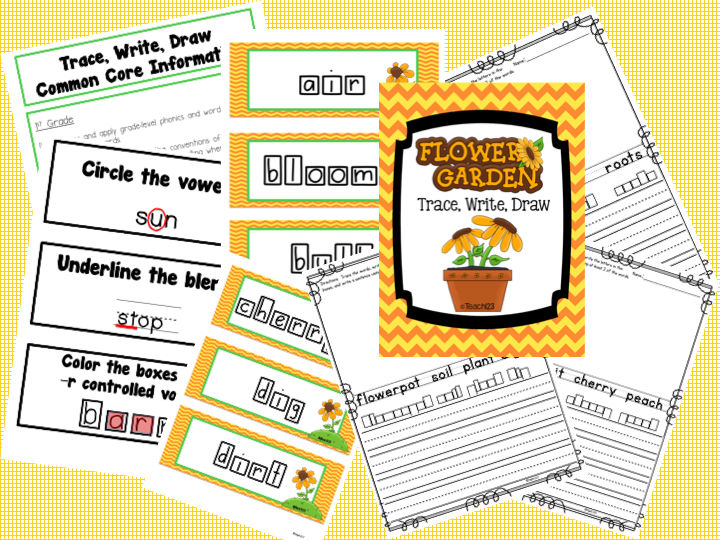 In the Flower Garden center, student trace plant themed word, write the words in the letter boxes, and write sentences with the words. There are nine signs included that can be used to differentiate the assignment. There are 6 assignments, 21 word card signs, and 8 group signs included. 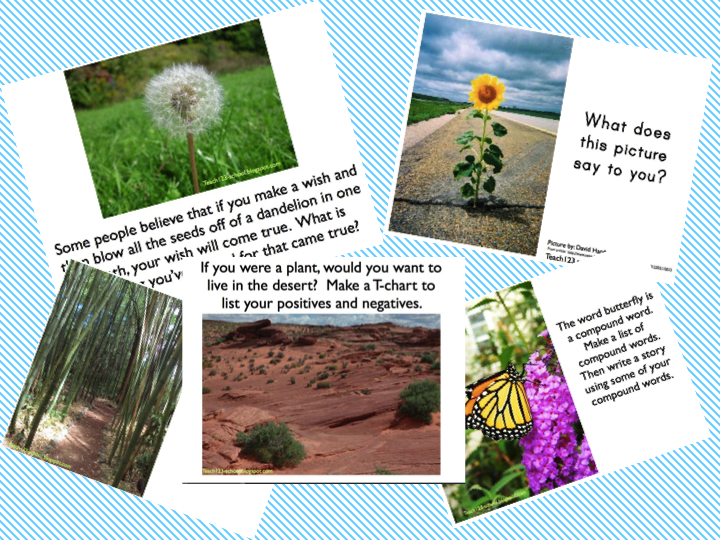 Also included are five picture writing prompts that can be used with your journals or set up as a writing center. Not sure I can figure out how this new pinterest works, though! I think this is where I pinned it.. This is awesome! We just started our plant and animal life cycle unit- perfect! These are great. Here is my pin. 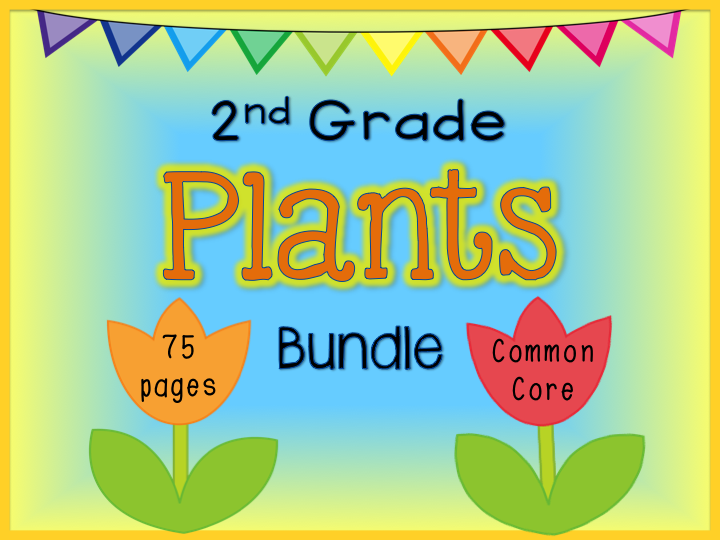 A great bundle. Thanks for the opportunity. Pinned…and now I am sure I don't care for this new pinterest…don't know how to get the link quickly. Pinned on a sharing board! Happy to follow you, thanks for the chance to win. I pinned it on both facebook and Pinterest! Thank you so much for the plant bundle. I posted about it on my blog. Hopefully people will hop over and check it out further. I can hardly wait to start using the activities.